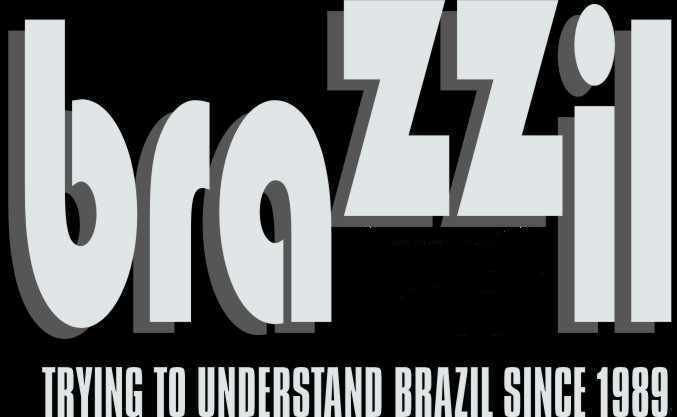 Brazilians represent all that’s romantic and carefree in our stressed world. This freedom of expression (especially in fashion accessories) is felt most in Rio de Janeiro. An atypical sun Mecca full of contradiction; a population who embraces technology but who couldn’t live without the beach; a city where you can find people in bathing suits on their way to the beach passing people in business attire on their way to work; a bustling big city on one hand surrounded by tranquil rainforests on the other. You have to admit it, Brazil has the "it" factor when it comes to beautiful people and their fashion statements. Now they are utilizing the environmental issue by leading the World in the eco-design of fashion and accessories from recycled objects (i.e. recycled resin jewelry) and introducing them onto the World stage for all to see. From Vogue to Versace the fashion world envies Brazilian fashion. The importance of preserving nature has brought more attention to Brazil as being an eco-friendly design capital attracting fashion giants from other countries. Elle’s fashion director Nina Garcia has created numerous articles on the subject. Vogue just shot their last editorial in Rio. Diva Naomi Campbell’s obsession with Brazil is highlighted in her 56-page editorial in Vogue Brasil this year. More than one Victoria’s Secret model claims Brazil as home. From Havaianas flip flops to haute couture, Brazil has it all. Their concern for the environment whether deep or shallow has brought them fashion forward into the world of "earth friendly," leading the way with fashion wear and handmade accessories from everyday recyclables. It’s not like they overlooked the human element either. Some eco-friendly companies employ otherwise jobless poor in the production of their lines. Brazilian designers are really capitalizing on their natural resources. Eco-friendly designers are showcasing their handmade jewelry works in São Paulo’s "green" epicenter Ibirapuera Park in the middle of the congested megalopolis. Many accessories made from recyclables are being launched there. One of the most successful designers of recycled handmade jewelry in Brazil is Mr. Rezende Sobral. His "Illusion" line of resin jewelry maintains global recognition as a producer of sophisticated hip resin bracelets and resin necklaces. Today, the "Illusion" line is carried in more than 10 countries. In 2004 R Sobral won the Bijorhca Eclat de Mode fashion accessory award for his handmade art jewelry competing against 600 other rivals. In 2005 R Sobral won praise from Paris fashion schools for wearable art. In 2005 R Sobral won favorable press from the Paris fashion media for sophisticated "hip" handmade jewelry designs. Recently, a website has been entered into the WWW that focuses on R Sobral’s "Illusion" line of handcrafted resin jewelry. This website is an introduction of R Sobral’s "Illusion" resin jewelry into the American fashion market via the web. His art jewelry designs are colorful and full of invention. Sobral also encapsulates many natural objects within the resin jewelry he designs, creating earth tones in various pieces. He has created a line of super cool eco-friendly resin jewelry anyone can afford. The U.S. based e-commerce website is called Artjewelry where you can purchase R Sobral resin jewelry. The site also promises to donate $.50 from the sale of each piece of resin art jewelry to verified charities in Rio de Janeiro that assist abandoned children. One charity in particular (Viva Cazuza) educates the homeless about the importance of HIV prevention. For the time being, there is no end in site for the expansion of Brazilian fashion and accessories in the World market especially when you consider the importance society puts on saving the environment through recycling. Sure Brazil has its share of crime and corruption but as long as the Brazilian people continue living the carefree way they do designers will find plenty of fashion inspiration for years to come. Turn In Your Weapons in the Name of God!